Disclaimer: This blog entry is not intended to be a full review of Windows 8 nor should it be interpreted as such. It simply consists of my observations and general impressions of the platform after roughly two months of limited use. I have always been an early adopter of Microsoft's newest Windows iteration. Even outside of Windows as a platform, I've purchased and used a number of Microsoft products when I really shouldn't have (I'm looking at you Zune). In almost every instance I can think of, early or even late adoption of Microsoft products has never been a wining proposition for me. Back in late October, Microsoft finally released the much touted Windows 8. The blinding advertising blitz they've been running recently has really helped to drive awareness of their revamped product lines. I can now safely say for the first time that the majority of my friends and family are aware of the existence of products like Windows 8, Windows Phone, and the Microsoft Surface. Be that as it may, I am also not aware of a single person (aside from actual Microsoft employees) who plan on purchasing either Microsoft hardware or software this holiday season. After swearing to myself I wouldn't, I purchased an upgrade license from Windows 7 Ultimate to Windows 8. The impetus for this decision partially was due to the upgrade itself only costing $15 dollars. Really though, I upgraded because I just don't spend that much time using a PC anymore. The majority of the time I spend on a computer is increasingly on either my Chromebook, Nexus 7, or Macbook Pro. I figured that even even if the new Windows user-experience was poor, the negative impact would be low enough to the point where it wouldn't affect me too much. And lets be honest, nothing Microsoft puts out software-wise at this point can ever come close to being a bad as Windows Vista. The upgrade process took about an hour and was mostly painless. All of my files remained in-tact and the majority of my installed programs still worked as intended with a few exceptions (the Adobe Suite being one of them). When my computer finally did boot, I was initially surprised by how pleasing the user-interface seemed. The live-tiles and their utility promised to provide an intuitive way to interact with and receive updates from a variety of internet services. 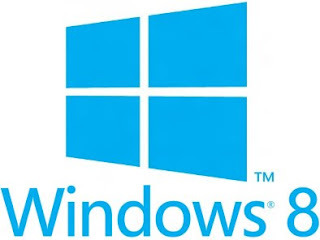 Unfortunately, the promise of Windows 8 faded quickly as the reality of the software's limitations became apparent. First and foremost, Microsoft is pushing the application ecosystem model pretty heavily. They are alarmingly late to this game, and that is clearly visible in the lack of quality apps available at launch. Of the applications currently being showcased, in almost every instance the actual website associated with each application offers far more utility to me personally. If I'm going to read the NYTimes on my computer, I'm going to use the Times Skimmer in my browser. I have no desire to use their feature-lacking Windows 8 app. The same goes across the board for applications like Netflix, Endomondo, Wikipedia, etc. If you want me to buy into your ecosystem, you need a more compelling reason than a live-tile whose ability to update with timely information has been in my experience unreliable. Microsoft has also gone to great lengths to lock user's out of using Google services at every turn. In fact, they have made it so difficult to install Google Search & Chrome that Google actually launched a campaign called Get Your Google Back in an effort to combat the problem. The user-interface of Windows 8 is clearly designed with a touch-screen device in mind. Panning left and right in applications with the mouse feels unintuitive and lacks fluidity. The OS even takes things a step further by placing key actions like 'Shut-Down' on hidden menus that only appear when the cursor is placed in the corner of a user's screen. Sure the desktop looks great, but those looks are achieved at the expense of common sense and usability. A great litmus test for the overall usability of any interface is, "How intuitive might an inebriated user find this?". In the case of Windows 8, "not very". To conclude, would I recommend upgrading to Windows 8 in any capacity? Absolutely not. The interface is unpolished, the controls are unintuitive, and the application selection is lacking. Nine times out of ten, I bypass the Live-Tile home-screen altogether and fall back to the traditional desktop to get anything done. It remains to be seen if Windows 8 will improve in the future, but at present, I can say with certainty you can find something more worthwhile to spend $15 dollars on. Posted by Patrick Dugan on December 14, 2012 .